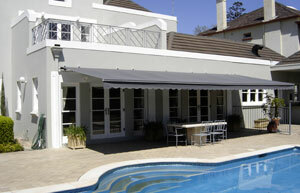 It’s only natural that fabric awnings will suffer wear and tear from the elements over time. If the material on your existing window awning has begun to tear, fade, or pull away from its frame, Complete Blinds can give your awnings a new lease on life by re-covering them with a fresh, modern fabric. While most blind companies will take your old awnings away and do the repairs off-site, our experienced team will visit your home to assess and measure your awnings first. 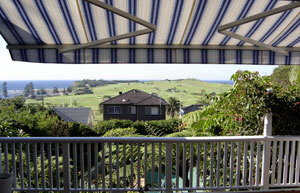 In most cases we can leave your window awnings in place, then we return to our facility and prepare new fabric skins. Once prepared, we bring your new awning material back to your home or business, remove the old awning material and replace with the new. This means you are never left without awnings on your windows!